Today, powerglide transmissions are reliable up to as much as 3000 horsepower in certain applications. The backbone of this entire system is the planetary gear assembly. 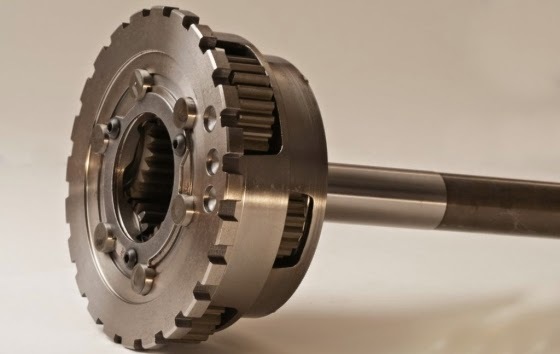 The modern aftermarket gear set for powerglide transmissions should feature many of these upgrades as found in our own BTE powerglide planetary gear sets. BTE offers our planetary assemblies in long and short versions as well as in larger TH400 sized output shafts. We also have three first gear ratios 1.80, 1.98, and 1.69. Each ratio is suited for specific types of cars, so please contact BTE if you need any assistance in choosing a ratio for your transmission. The OEM powerglide was manufactured with two first gear ratios - 1.76 and 1.82. The 1.82 gear set is not suitable for most drag racing applications as its power limit is no more than ~ 550 HP engines in even lightweight cars. Why? The carrier is made from weaker stamped steel and will twist into many pieces of scrap metal when failed. The 1.76 is stronger, featuring a machined steel carrier and heavier duty gears. However, the upper limit of the 1.76 for most cars is ~800 hp. Some may take more or less power as none of the parts were originally designed for high performance usage. 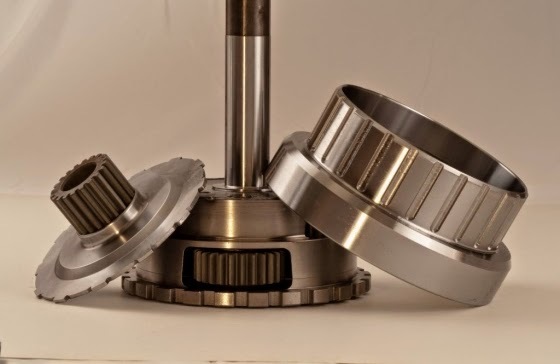 A well made planetary assembly should be relatively maintenance free, however, we do offer pinion and bearing replacement kits that are a recommended service item that should be replaced at least every two years. Be sure to also use quality transmission fluid that offers proper lubrication to keep things functioning properly.